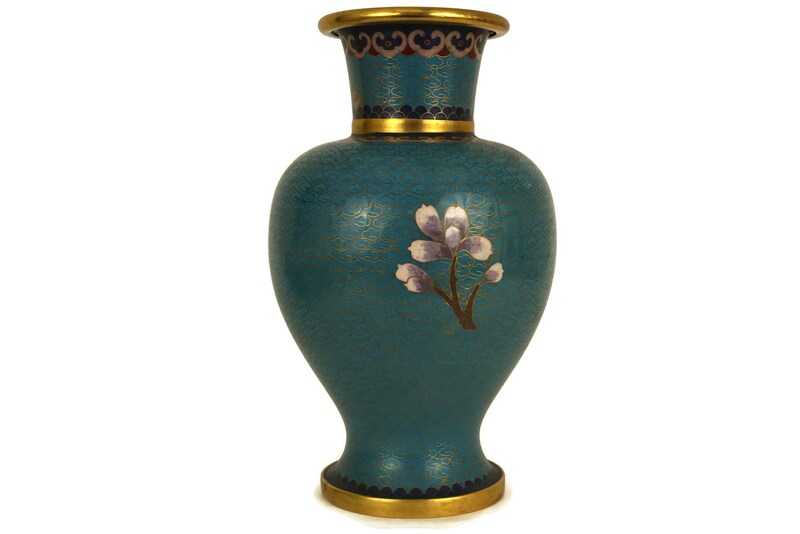 A beautiful vintage vase created in the traditional cloisonne method. 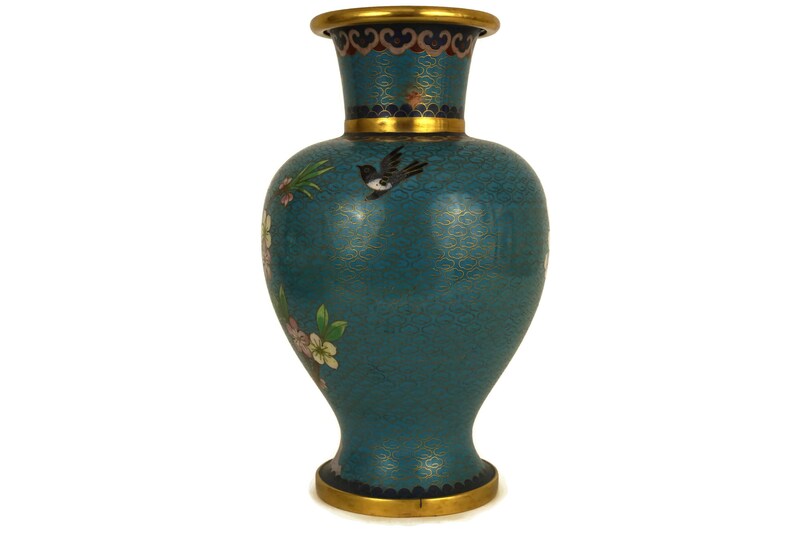 It features a brass metal body with a classic baluster shape. 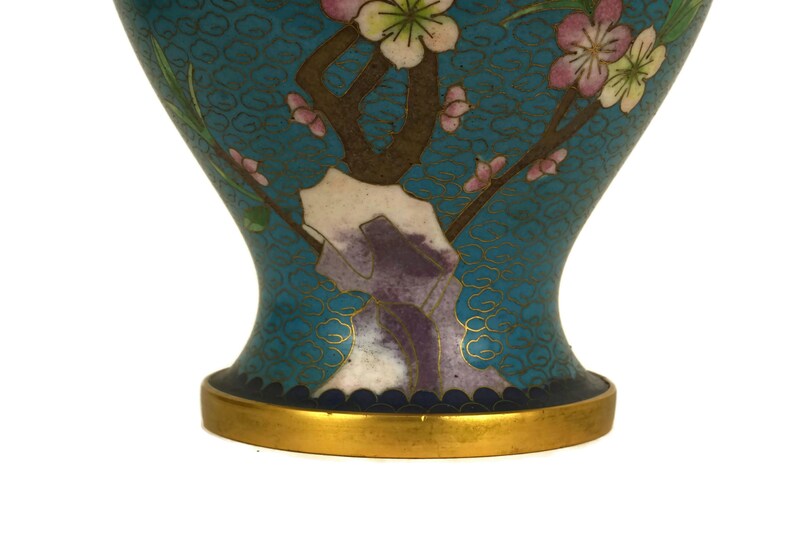 The surface has been exquisitely hand decorated in colored enamel. 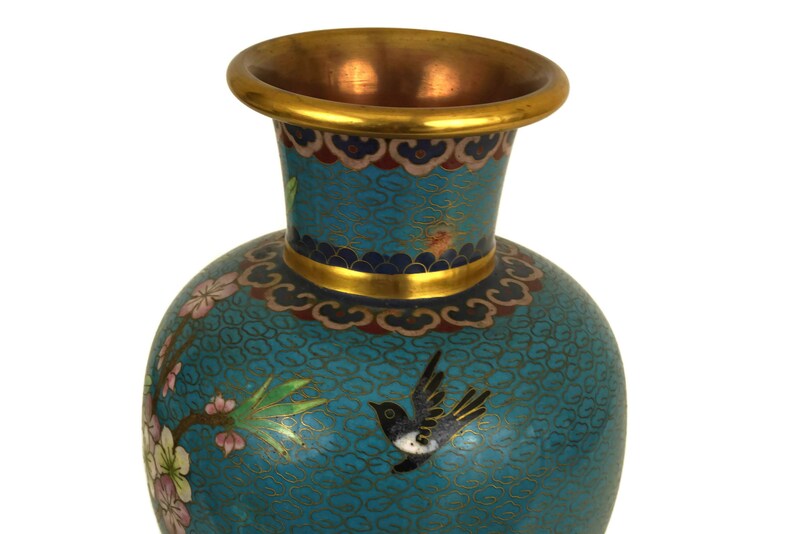 The flower vase features spring cherry blossoms against a turquoise blue background and a delightful little bird. 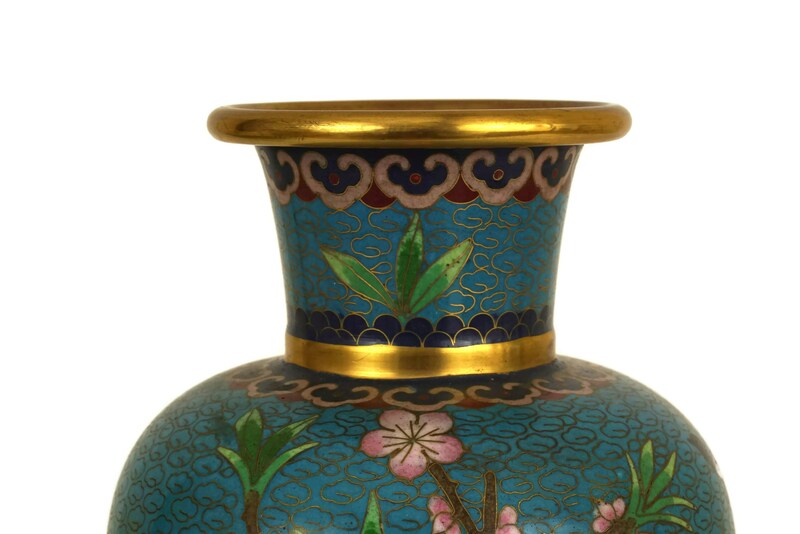 The neck and base have been decorated with lovely wave patterns. 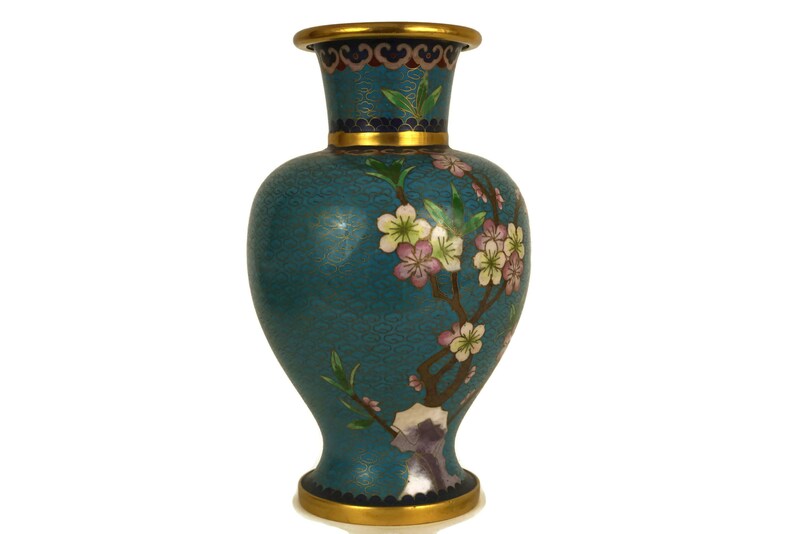 4" at widest point (10 cm). 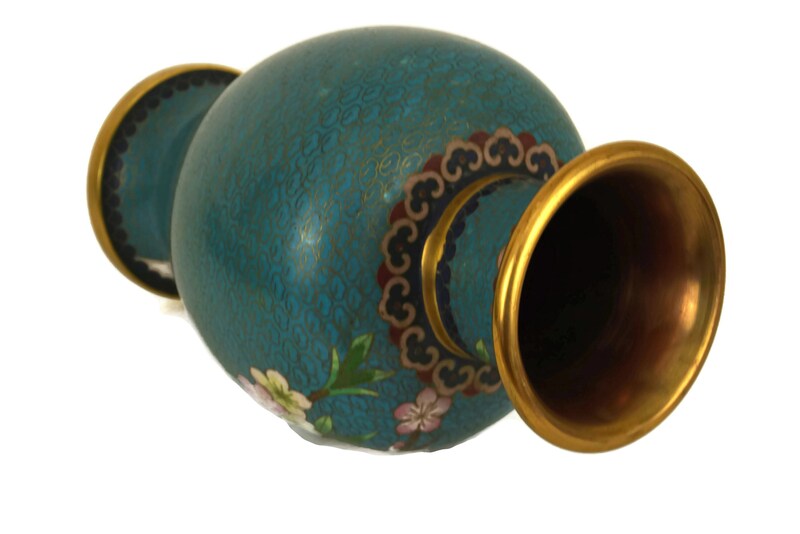 3" wide at neck opening and at the base ( 7,5 cm). 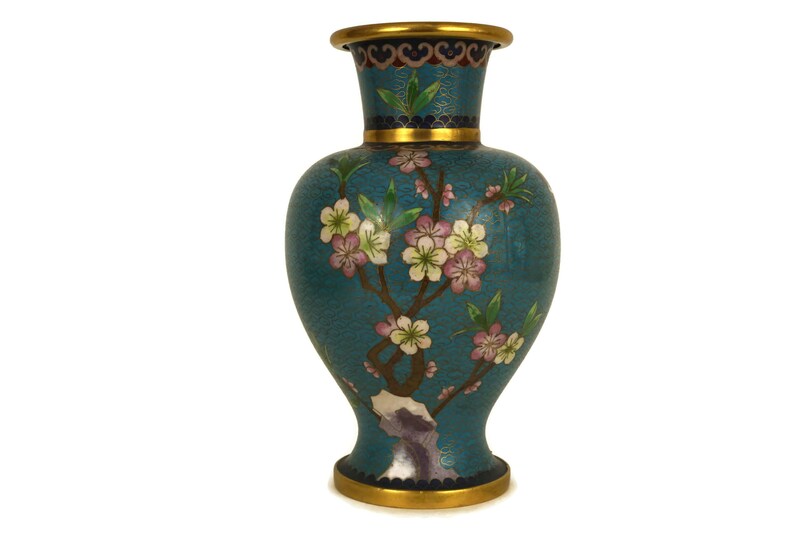 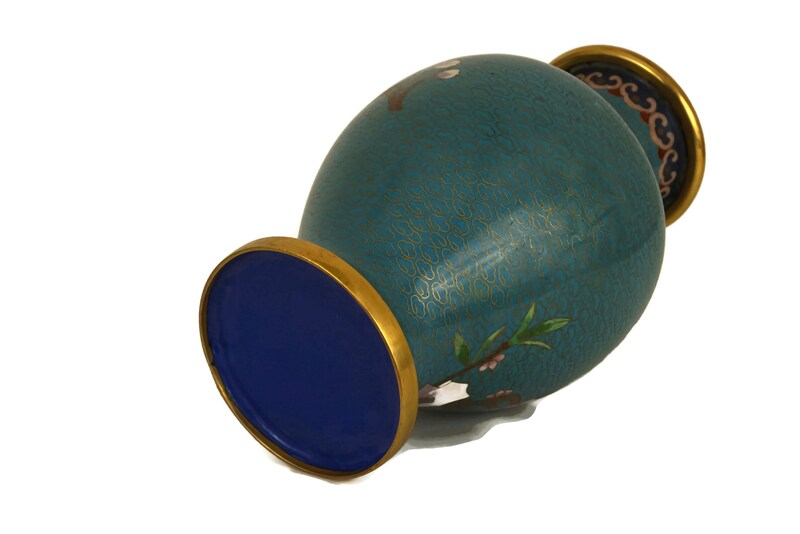 The cloisonné vase is in very good vintage condition with light wear. 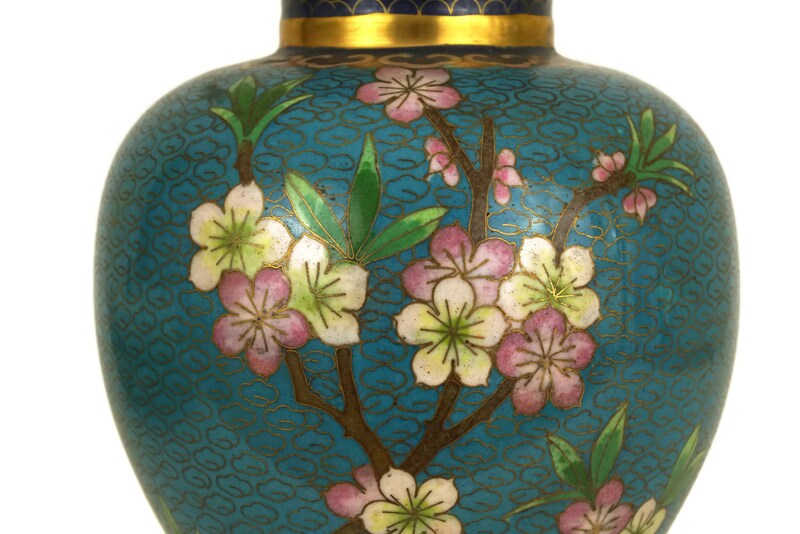 Very beautiful vase and wonderful seller!